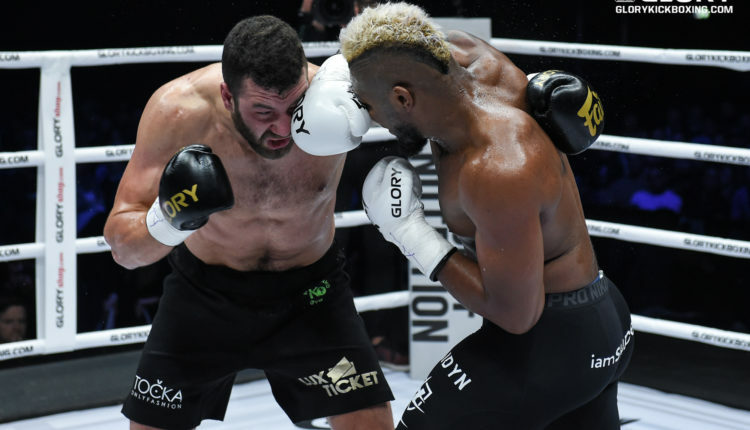 Jamal Ben Saddik proved to be the king of heavyweight contenders by winning GLORY’s eight-man heavyweight tournament at GLORY 62, held at the Rotterdam Ahoy in the Netherlands. Saddik and Benjamin Adegbuyi made it to the tournament final. Saddik earned his spot with a two-knockdown rule TKO of Junior Tafa and a unanimous decision over Guto Inocente. 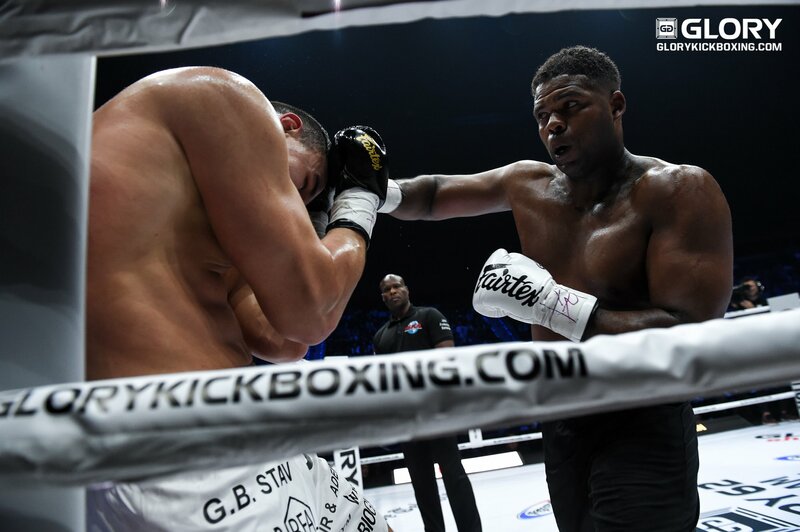 Meanwhile, Adegbuyi opened the card with a unanimous decision win against Arkadiusz Wrzosek in the quarterfinals before knocking out Jahfarr Wilnis in the semis. Saddik made Adegbuyi feel power right away from the start, landing a head kick and several punches. 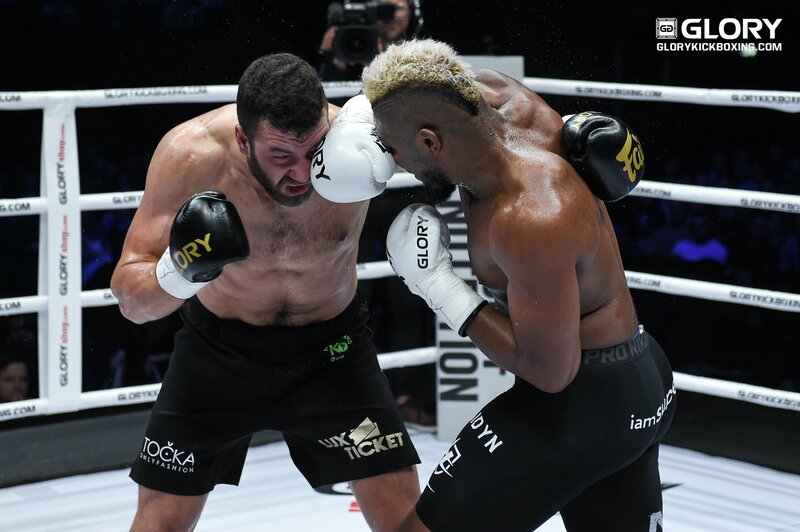 While Adegbuyi put up his guard, Saddik continued to throw the southpaw left hooks and uppercuts, eventually trapping him in a corner before firing a couple of left straights to knock Aegbuyi down and out in the first round to claim the tournament title and $150,000. 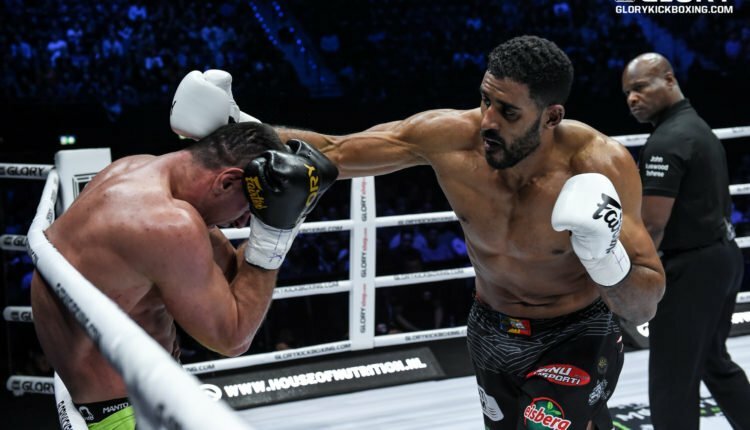 Saddik now hopes this will lead to a trilogy encounter with Rico Verhoeven, and subsequently another shot at the GLORY Heavyweight Title. 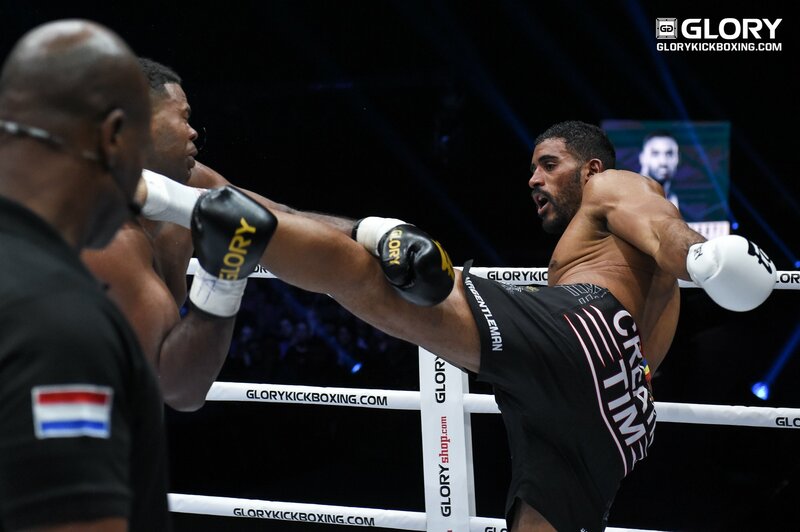 In the co-main event, Luis Tavares won a split decision victory over Artur Golov. The fight was pretty even, with Gorlov doing better in the punching battle while Tavares focused on the kicking game. Tavares landed the better starts, but Gorlov pressured Tavares throughout the fight, backing him up against the ropes and cutting off the ring. 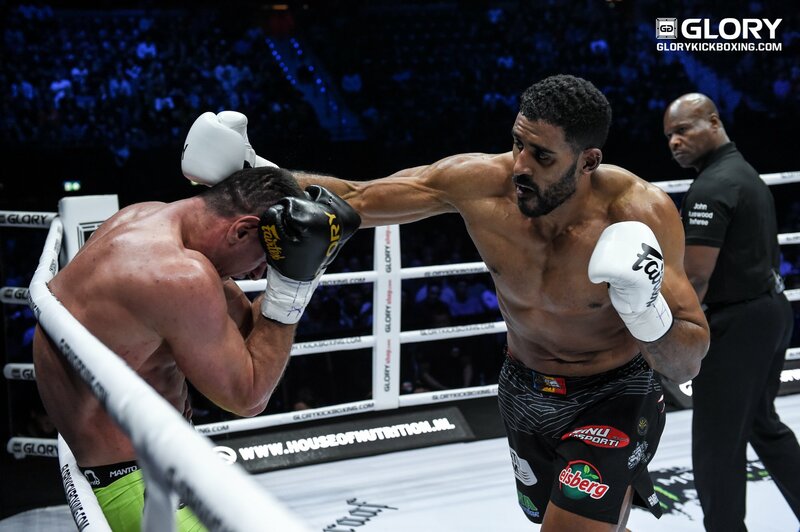 Tavares’ quantity of key shots, however, narrowly won the fight for him, as three judges gave him the bout (two 29-28 and one 30-27 score).